The days are finally warming up here. It's already starting to feel like summer and I'm already starting to think of ways to beat the heat. And what better way than a homemade ice pop? 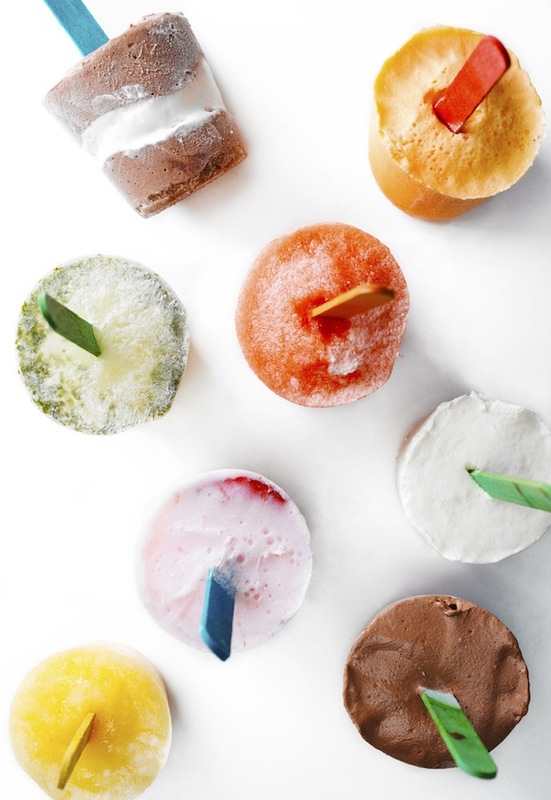 Well, from Strawberry Yogurt Ice Pops to Mojito Ice Pops, you can find 10 tasty recipes that will keep you cool all season long right here. Until then, have a wonderful day! It's still raining here but that doesn't make these pops look any less yummmy!! Oh I just did a post last thursday about recreating yummy popsicle flavours and so your post is perfect for me to try!! These look amazing, will definitely give these a go! I have to try these sometime soon!! Oehh I have to try some! Great tip! Thank you so much for your sweet comments! I just tried the mojito one... yum! Yumss! Trying this for sure this weekend.